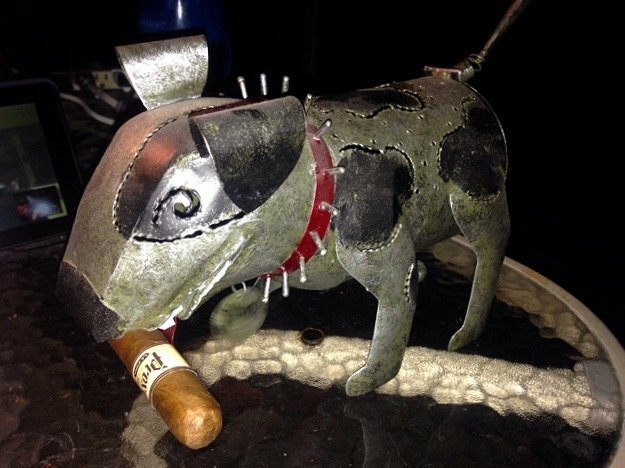 My Wife found a metal dog sculpture that would make a good cigar rest if my Wife would let me and if it wasn't so big. The dog's tongue holds the cigar. Those are both good ones. It helps to have a rest handy. I tend to puff too often if i dont have a rest handy. (especially if im talkin. I loose track of time.) What is that skeleton man's original purpose? It looks like a miniature park bench. Why not glue a stogie stand on it? I know what is... I made one for myself as well. I was just saying that you can place a DZR stogie stand on it as a option. 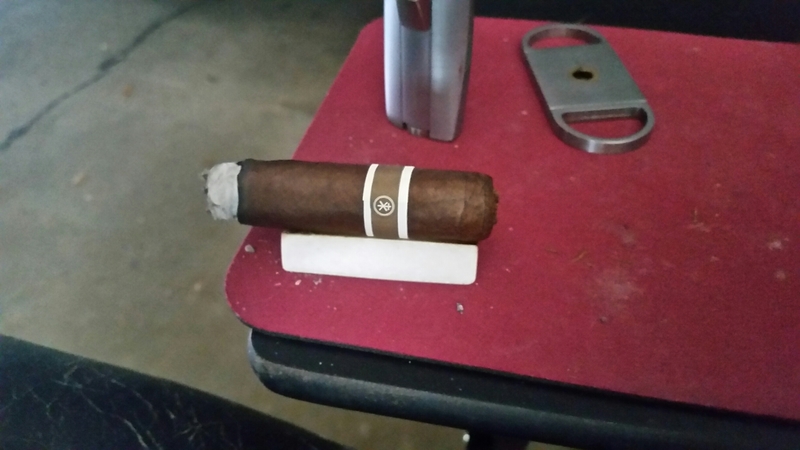 what is a DZR stogie stand?? @danielzreyes ; help this BOTL out yo! 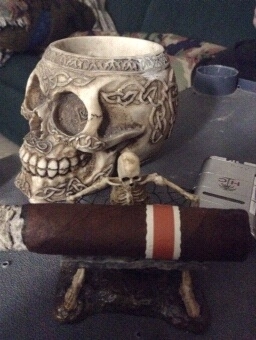 The simplest, most versatile fücking cigar stand availabe. 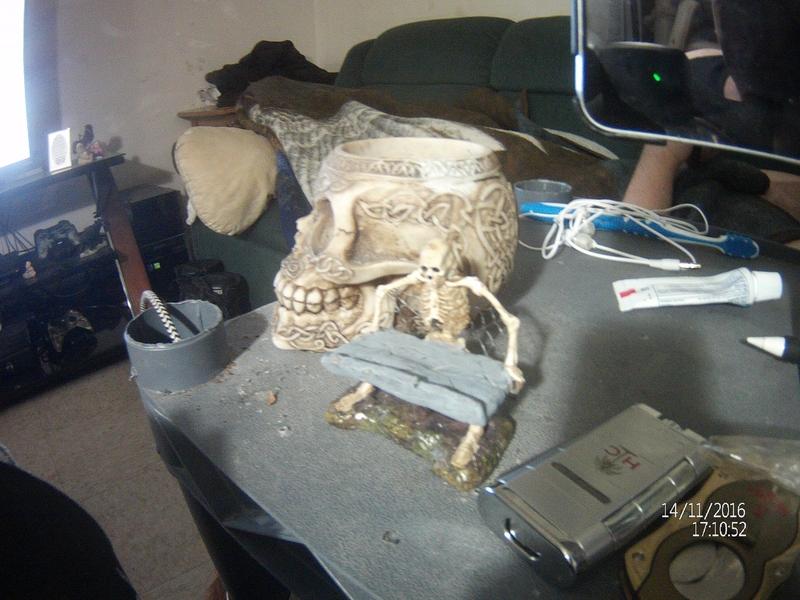 You can place it on your cool skeleton table then throw it in your pocket to use outside. Nice piece of work @arch72. The rest of us begged. But worth it. @Rolanddeschain also makes a rather nice wooden version, which I use regularly and enjoy immensely. From my experience @danielzreyes doesn't work that way. A real stand up kind of BOTL. You have to figure out a "non-monitary" way to get him back. One oF the MANY generous/kind guys and gals here. My wooden rest wouldn't work as well with his skeleton stand. Drop me your addy and I'll send one, just because. Someone else added dichturd to the descriptive definition of yourself and I do not want to be associated with that individual whom ever that may be. Please in the future decide on one or the other to describe yourself; a $$hole or dichturd. I do not like to share.